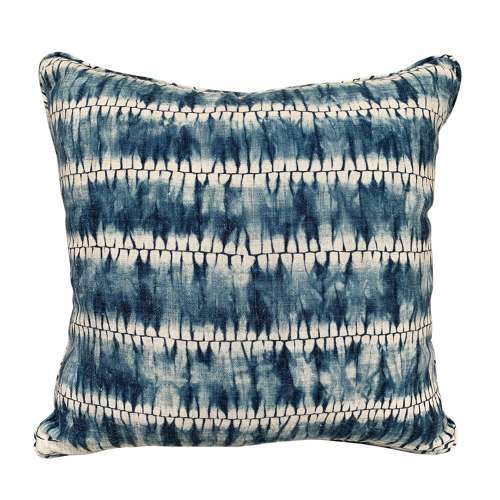 These striking cushions are made from a vintage Miao skirt panel in thick cotton that has been tie dyed with indigo. The textile dates to the middle of the C20 and has been made into 4 self piped 18" cushions. The cushions are backed with vintage hemp, have zip fasteners and feather pads. Can be sold separately. Available to view at my studio in Purley by appointment or please ask for a delivery quote.